Gemma and Jonny’s Millbridge Court wedding was absolutely beautiful. Think foliage, giant balloons, and an incredibly well-dressed wedding party in stylish evening attire. All of this took place on a beautiful Summer’s day complete with amazing natural light and fun and giggles had by all. Maryke and John’s stylish wedding is proof that DIY absolutely doesn’t have to look home spun. 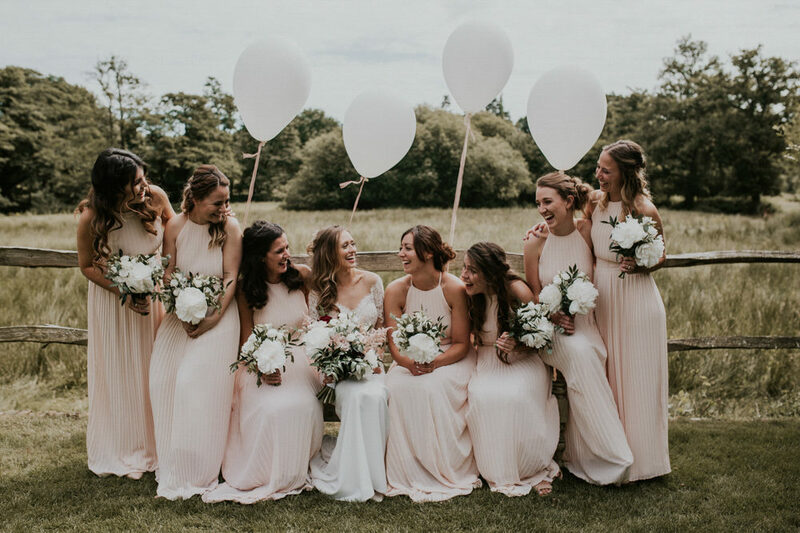 With a clear pink theme running through the decor, copper piping details and giant balloons making a statement, the whole day looks gorgeous from start to finish. 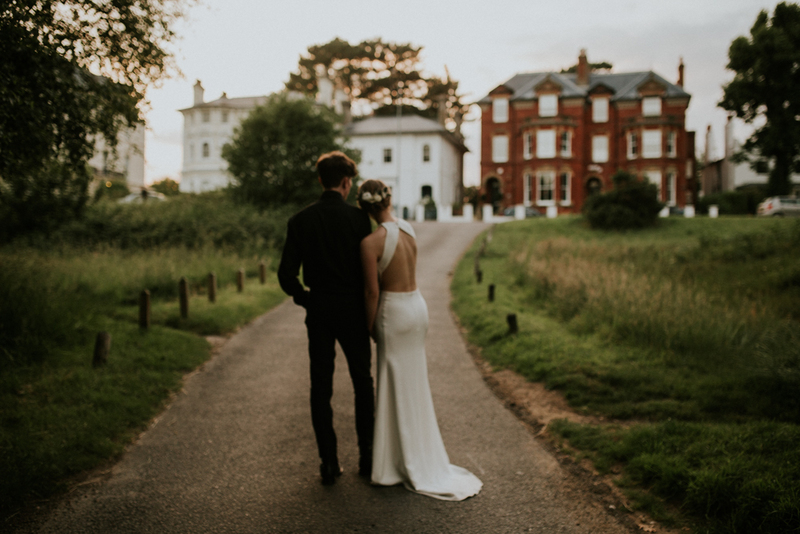 Images come from Nataly J Photography whose soft, romantic style I love and it lends itself perfectly to this lovely pair’s feel-good wedding. 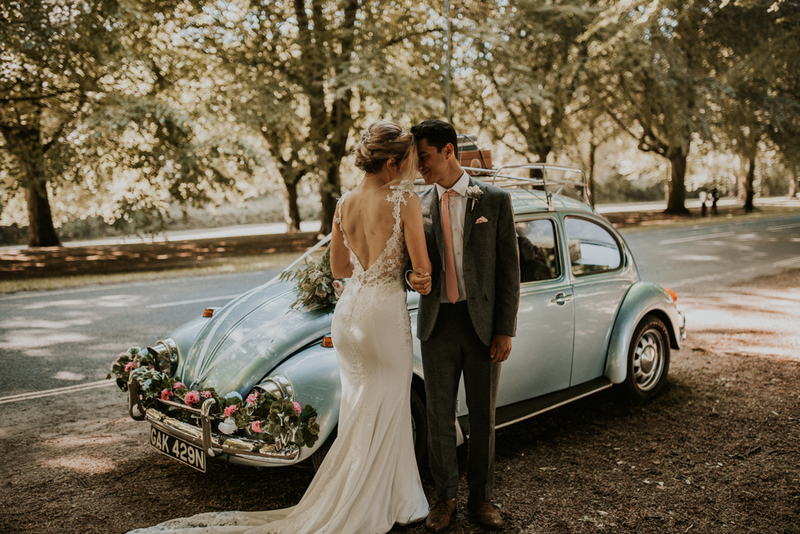 Look out for the beautiful Vintage VW Beetle as well, it’s such a cute car to transport you on your big day. If you’re struggling to chose your wedding party and are wondering whether eight bridesmaids is too many, well worry not. Gorgeous bride Alice had eight and her wedding looked spectacular 😉 In fact, not only did Alice have eight bridesmaids, but Albert had eight groomsmen too! Talk about squad goals. This adorable couple met at school and have basically been together forever – it just goes to show, when you know, you know. 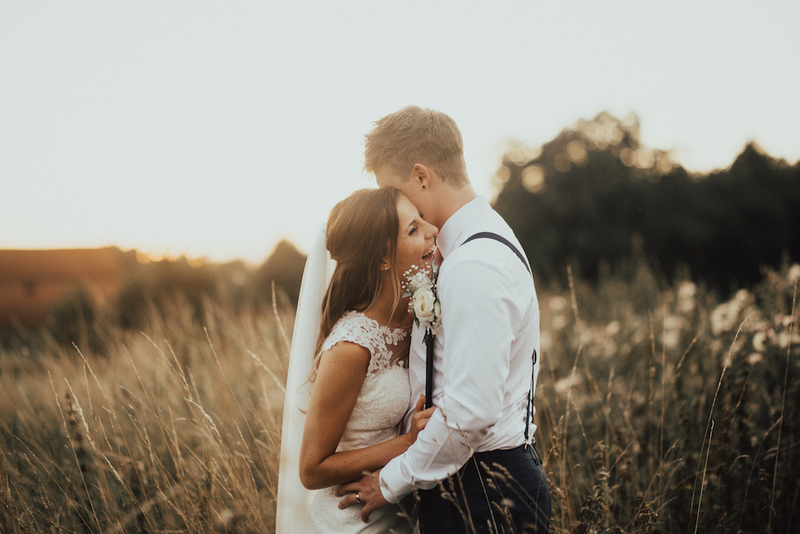 Nataly J has captured some incredible shots of the pair at golden hour – that light! I mean seriously swoon worthy images. Enjoy this one lovelies, it’s a stunner of a day!